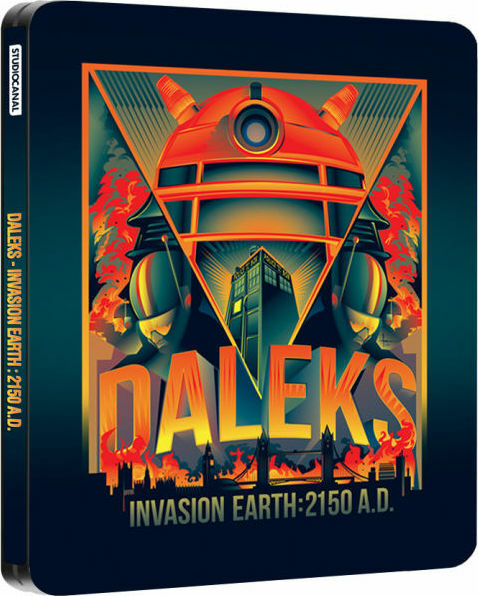 Daleks’ Invasion Earth: 2150 A.D – 1966; Again, based on an original story from the BBC TV Series, Dr. Who and his companions arrive on Earth in the year 2150 AD, to discover that the planet has overrun by Daleks and the population enslaved. The time travellers assist human resistance groups to foil the Daleks’ plan to mine the Earth’s core. The sci-fi adventure is directed by Gordon Flemyg and stars: Peter Cushing, Bernard Cribbins, Ray Brooks, Andrew Keir, Roberta Tovey, Jill Curzon. CLICK HERE to head over to Orlando’s BEHANCE PAGE to see some process shots of this awesome image.